I promised Interviews from artists that featured in my mixes as I felt this could give you listeners a chance to delve inside the world of the people who make the music you listen to. Huge thanks to Hugo Allen from Tiefhaus Records for putting this first interview together he did an outstanding job. With that said first up is Blugazer and to celebrate his first debut album ‘Color The Afterglow’ [Silk Music] in collaboration with the talented singer Catherine and their new alias, Blue Symmetry, I think it would be fitting to have this interview based around that. 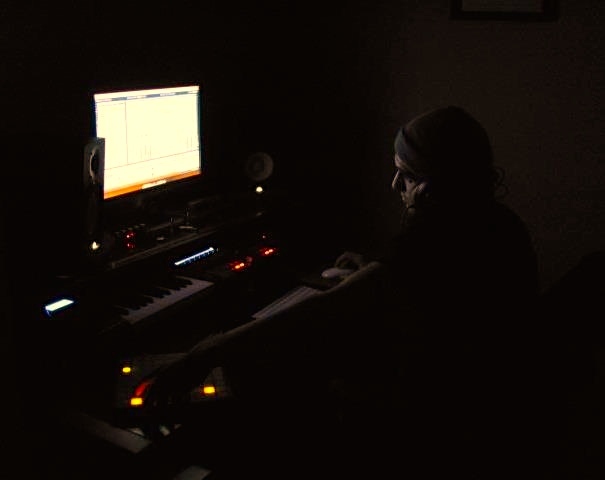 Jack Barrile (aka Blugazer), an avid electronica and trance enthusiast from his early teens, is a rising progressive house and trance artist from Queens, New York. Blugazer and Catherine are musicians and electronic music producers. Both were first heard on Alter Ego Progressive’s Galaxies Away / Blue, followed by Out Of Nowhere on Fuzzy Recordings. Their debut album, as Blue Symmetry, came out on November 5, 2015 on Silk Music. On behalf of the duo, Blugazer gives us an inside scoop into Color The Afterglow. I really tried to hammer in a sound that felt organic—not just to me—but the collaboration. In most of the songs, if not all, Catherine came up with the absolutely perfect emotion in her parts to match the underlying music. Also, adding on to the organic note, I tried to just let things flow; rather than adhere to any sort of preconceived notion I may have about a certain genre. Because of this, I think a few tracks came out sounding a bit experimental. What does “Color the Afterglow” mean? Color The Afterglow is the title both Catherine and I came up with. The Afterglow is meant to combine both natural, everyday beauty with something surreal—almost imaginary. Color The Afterglow, to me, signifies how everyone can perceive beauty, in this case an afterglow, in his or her own way. How did Blue Symmetry come together? Blue Symmetry is an alias Catherine and I came up with that has a more downtempo and experimental feel to it. Catherine had a Blue Symmetry domain name, and I think it sounds like a cool name. How long has the 10-track album been in the works, and how did this album came into fruition with Silk Music? We produced the album over the course of about 4 to 5 months, last summer into autumn. One of the Silk A&Rs heard a WIP [work(s)-in-progress] of one of the tracks I posted on SoundCloud, and was interested. So I just sent them the whole album once it was done and they enjoyed it. How is Blue Symmetry different from the Blugazer sound? Both are similar in that they are very airy and spacious. Blue Symmetry has a focus on the deeper, experimental sounds whereas the Blugazer sound has a bit more of uplift to it. Would you tell us a bit about your collaborator, Catherine — her artistic personality, her work ethic, too? Catherine is a blast to work with. Most of the time, we are so in sync with ideas that the music comes so naturally. We have a very nice workflow that allows creativity on both of our parts. She tends to be a perfectionist and gives great feedback, which is just great. For this album, did you and vocalist, Catherine worked remotely, or was there any opportunity in person? We worked remotely, sending parts via email and online chats. Yes, she is the lead guitarist as well…the guitars; Catherine for sure, recorded all of the leads. When working remotely, what makes a collaboration work? I think just sharing a vision for a song and understanding where each contributes to the track. If the vision isn’t shared, the end result will be a mixed message to the listener. There is no real theme to Color The Afterglow except maybe just life in general. There are the easy chapters in life and the more difficult chapters, and I hope that the array of emotions was caught in the music. You are meticulous about (musical) arrangements. Please, give us some insights into how you arrange (your) music. Awesome, positive feedback! To me, the arrangement is the whole art of music production – it is the story telling, the message itself. To me, this is the most difficult part of production. Technically speaking, I tend to outline my arrangements on paper (actual paper, yes!) and determine how I’d like the song to evolve and climax. After that, it is usually just building the song and listening back a ton. Blugazer have a persona? [Persona in a way you embody a character in a social setting]. Not really. I try to act like myself on social media, and when I meet people in person who know Blugazer the artist but not me personally. Blugazer really reflects on my life experiences because of this. You are the product of your influences. How have your influences come to create your identity as Blugazer? I listen to a lot of different styles, and I like to think my sound is an aggregate of all those styles. I listen to a lot of chill out tunes, deep progressive, minimal tech, ambient, etc. Anything melodic and deep, really. How is the current music scene impacted your growth and career as Blugazer, and your artist identity as Blugazer? I want to think that it really hasn’t impacted me. I just want to make my own music and brand my own style. If it sounds like other tunes or not, it makes no difference to me. Please, tell us how you started with Silk Music (the first submission, to being signed and to being exposed, with the opportunities that came afterwards)? I sent them a couple of demos before they signed one, and they’re a really supportive group. I met Jacob, in person, at an event, and he is a very passionate, awesome guy. You have a network of peers, friends that are musically talented, with specific skill sets, for example, experiences with arranging, song writing and so forth. Besides your collaborator, Catherine, for Blue Symmetry, have you involved any of your peers or colleagues to complete a piece of music? Just wherever was explicitly stated. I’ve worked with Santos Torres (Monoverse) and Miroslav Vrlik on collaborations. What sort of routine does Blugazer go through when inspiration (to create music) spark? And when you’re creative, how does it disrupt your normal life and/or routine, or with relationships? I try to jot down what I can without thinking about it. As long as it leads to threads of ideas, I know it will turn out ok. After that, I try to just get in my normal production workflow. It doesn’t really disrupt life much, honestly. I try my best to do what I can to get an idea down, like writing notes, chords progressions, voice recordings, etc. so I don’t panic when I don’t have the bandwidth to sit down at my music computer to actually produce the idea. Trying my best to keep the inspiration is difficult when non-music demands (i.e. work) pile up. But hey, if it were easy it wouldn’t be fun! Do you dabble with other genres besides Progressive House, and Trance? I know most listeners would put my music in those genres (alongside chill out, I’ve done quite a bit of chill before the album), but I honestly just try to make music. How it comes out, it comes out. If I had to place genres around my music, lately it has been coming out more deep/techy/melodic stuff. Aesthetically, what is next step for the growth and development of Blugazer and Blue Symmetry? Just keeping on. I don’t really have any fame aspirations, but ironically I would love to travel the world playing my music. I am working hard to really improve my sound everyday to get it to a point where I am comfortable showcasing it to anyone and everyone. I also feel I should market myself more. Who are the people that you want to thank in your life the most? Family, girlfriend and friends, for putting up with my mix tapes, loud noises, and generally annoying behaviour, I would say just the world in general. Just stepping outside and having conversations with people not only inspires me, but it also indirectly gives me insights and tips on how to refine my craft. Most likely not in a technical way, but through a motivational story, or maybe a creative workflow tip. 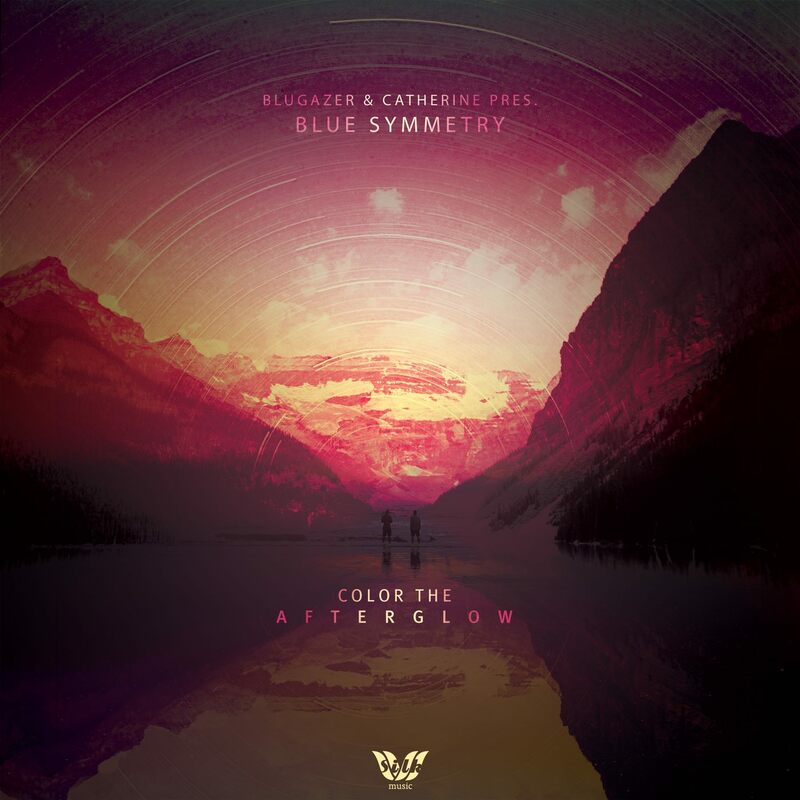 With a total of 10 tracks on “Color the Afterglow,” if you are to pick 2 that quickly sums up the aural identity of Blue Symmetry, which 2 would they be, and why? I would say Sing Me To Sleep and Simplicity. Sing Me To Sleep is a really emotional track with the deep groove and spacey atmosphere that seems to staple a lot of Blue Symmetry sounds. Simplicity has plenty of atmospheres, but I feel the smooth 4/4 beat gives a great addition to the background sounds. If you had your way of choosing a remixer worthy of one of your tune or tunes, what qualities do you look for in a producer? I just like it when they give a unique spin to my tunes. How do you test the quality of your music (sound, arrangement, etc.) before considering it a finished project? I check how many dents I’ve made in the wall (Laughs). Just joking. I usually test it as it’s in progress, since my production time is limited. Helps me make unbiased decisions on the song itself, as well. Therefore, when it’s through my creative workflow, it’s done. Do you go through a pot of coffee when you’re producing? No! I am a tea guy, and it’s mostly herbal when I have team while music making. You follow Sports at all? If so, who are your teams? I am a big sports guy! The Giants, Knicks and NYCFC are my teams with Inter Milan, as my European soccer pick.